Sisterhood and service are two of the hallmarks that brought our group of 8 ladies together. Whether we had known each other for a day or a decade, the passion for traveling (and packing) for a purpose was a common one. 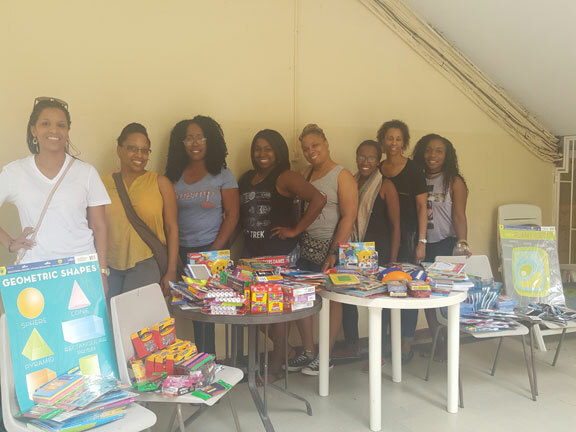 We are so happy to have been able to participate with Pack for a Purpose and Ritz Hostels in order to bring several suitcases of school supplies, grooming items and toys to the children of Curacao. Christine ,(of the Ritz- Studios) was an extreme delight. She not only worked with us to coordinate a visit to the Huize Rose Pelletier when we dropped off the items, but we had the pleasure of having our first dinner at her lovely establishment. What a great kickoff to a wonderful time in Curacao.